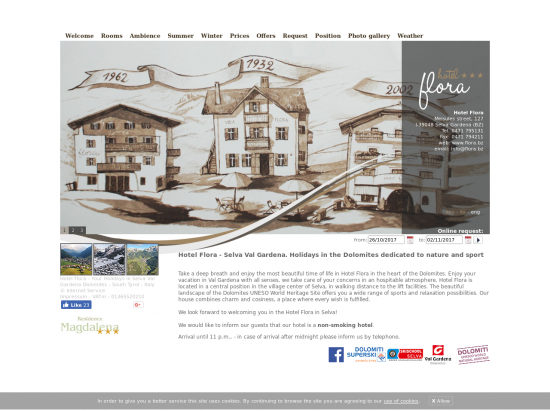 Information Take a deep breath and enjoy the most beautiful time of life in Hotel Flora in the heart of the Dolomites. 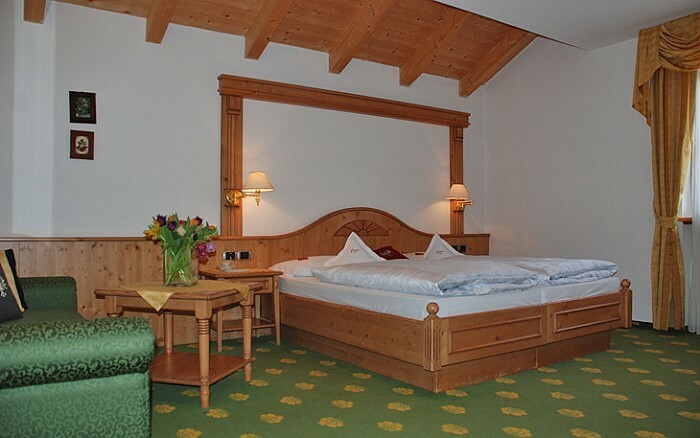 Enjoy your vacation in Val Gardena with all senses, we take care of your concerns in an hospitable atmosphere. 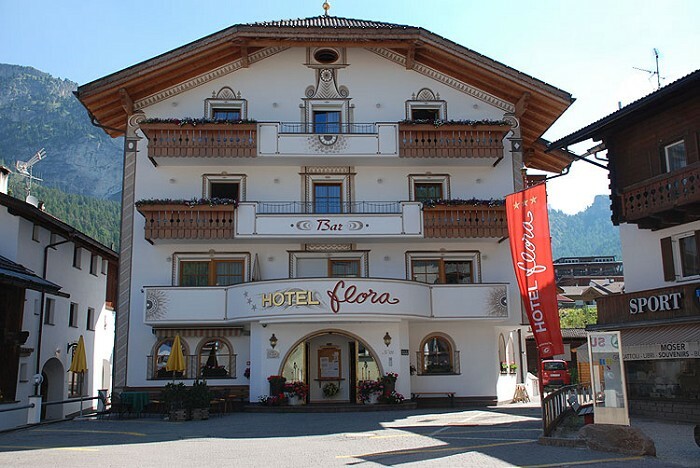 Hotel Flora is located in a central position in the village center of Selva, in walking distance to the lift facilities. The beautiful landscape of the Dolomites UNESO World Heritage Site offers you a wide range of sports and relaxation possibilities. 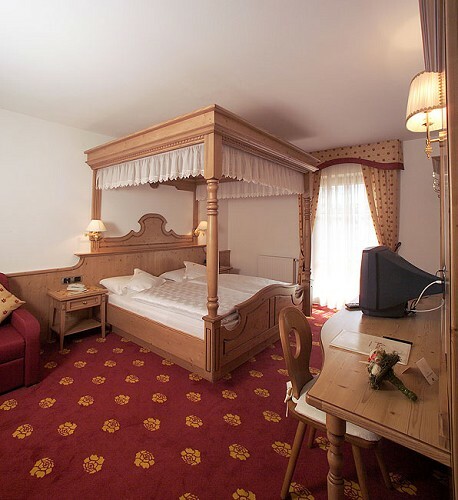 Our house combines charm and cosiness, a place where every wish is fulfilled.